$39.99 per pair List: $49.99, You Save: $10.00! 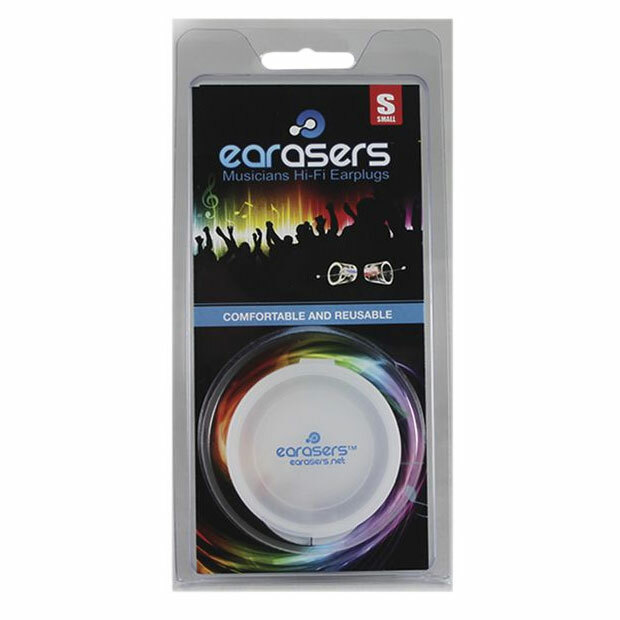 Earasers Hi-Fi Ear Plugs rock pretty hard - if you don't want to shell out hundreds of dollars for custom-made ear plugs but you also don't want to muffle your ears up with foam, these are for you. 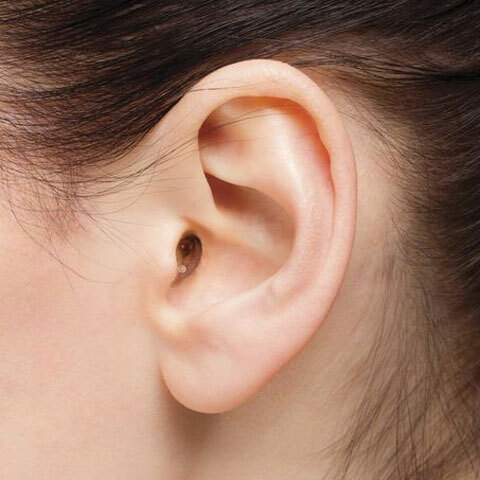 Most adults will feel comfortable wearing the medium-sized Earasers. The plug with a blue marking goes in your left ear, while the one with a red marking goes in your right. They're far more advanced than typical foam ear plugs, so they'll cost you a little bit more. 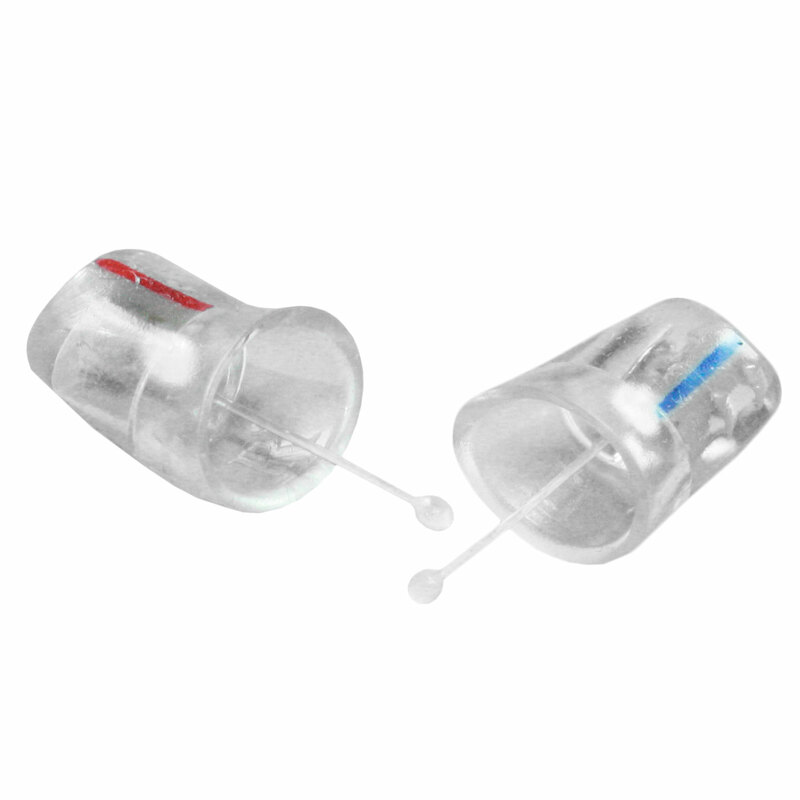 Made of soft, clear silicone, they fit comfortably inside your ear and can easily be pulled out with the little plastic handles that are virtually invisible to everyone else. Technical stuff: the genius behind these plugs is the variable filter - at the most damaging resonance range (around 3150 Hz) they filter out 19 decibels of volume, but near the natural sound range (1000 Hz) and very high frequencies like cymbals or 'S' sounds (8000 Hz) the filtering is less. What you hear is a clear, non-muffled sound that protects your ears where they need it, and lets sound through where it's safe. Protect your ears and still be able to hear the rest of the band! Each pair includes a handy little carrying case. Buy These If You Want To Protect Your Ears, Have It Not Sound Muffled, and Most of All Feel Great! If you've used the ear plugs that look like a pine cone and found them to be uncomfortable, then these are for you. I've tried a lot of different earplugs before and ran into the same problems. The foam ones are comfortable but the sound is terrible. The pine cone looking ones the sound is better but they start to itch, or just become annoying after 30 minutes or so. I've tried other "nicer" ones that are a squishy rubber that are supposed to be more comfortable, and while they are the 1st few times, that elasticity starts to wear out and eventually they just don't flex that well. 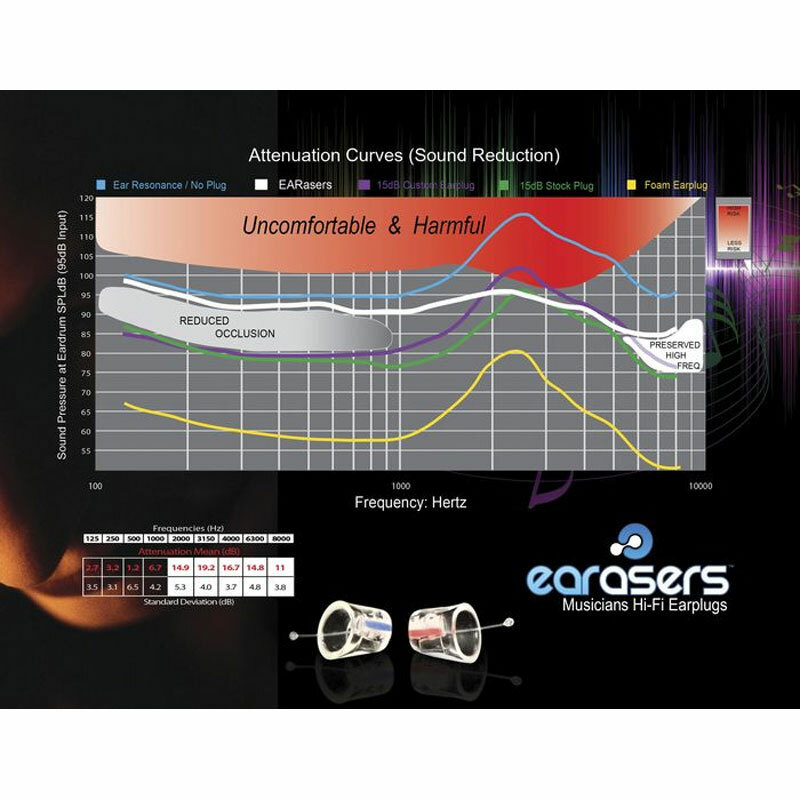 The earasers are so comfortable you will forget that you are wearing them! Think about that. And the sound is good too. Voice is still pretty clear and you can hear most of the frequency range, it's just softer. I'm sure getting a custom mold is better but if you don't want to spend hundreds on that, these are well worth the extra investment over the other more affordable options. The next best thing to custom molds! Well worth the extra money over the foam ear plugs. These allow for a clear sounding experience and are very comfortable. So comfortable I've made it to my car after a gig before I realized I was still wearing them.